tis the season for berries. snagged a great deal on 16 oz of blueberries for $2 at kroger. score. we were going to bake a blueberry lemon crumble cake, crumble implying a layer of streusel on top, aka butter and lots of sugar, but we got lazy (and decided to be somewhat healthy) and just made blueberry lemon crumble cake. 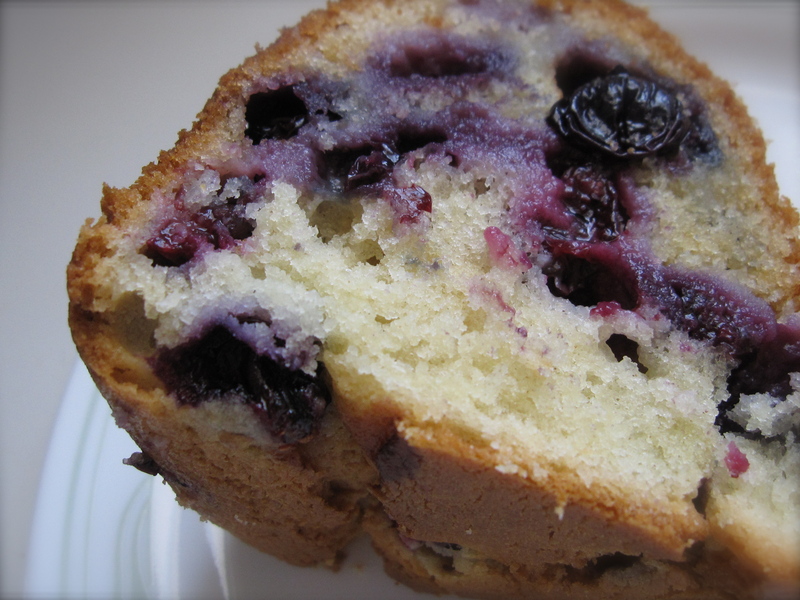 but you can’t really taste the lemon, so we just made blueberry lemon crumble cake. 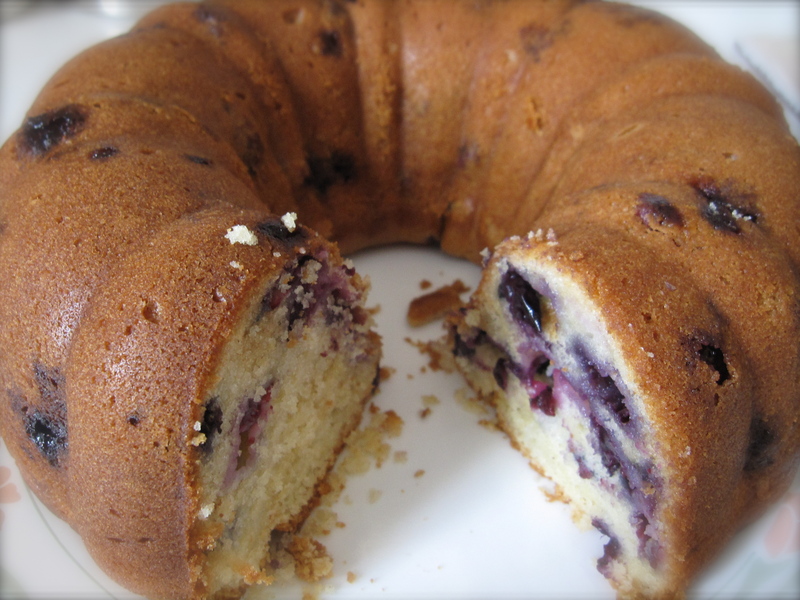 Grease a bundt cake pan. Cream butter and sugar in large mixing bowl. Add eggs, the vanilla extract, and lemon juice and continue blending. Combine the flour, baking soda, baking powder and salt in a separate bowl. Alternately add the dry ingredients and the sour cream to the butter mixture, blend until smooth. Fold in the blueberries. Bake @ 350 degrees for 55 minutes.